It is especially useful for those who want to give their bedrooms a revamp without shedding so much money. If you are a newbie in the world of interior decorating, then we have a lot of helpful and useful tips that you can apply. 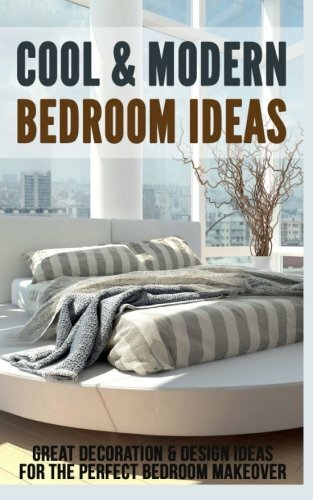 Not only are tips and tricks included, but we have also dedicated a portion of the book to help you decide on what part of the bedroom you can change to give it an entirely new look. Above all, there are steps and processes that you can use. Plus, I have also talked about in great detail the numerous options that you can have for each decoration, including its pros and cons to help you decide which type of material or design would best fit your needs and budget. With all of these benefits that you can gain from this book, you will be a pro when it comes to bedroom makeovers in no time. The book does not push you into using our choices of bedroom decorations. Instead it lays out a lot of decorating ideas that you can build upon, stress on and even spin out to incorporate your personality into the design. I have placed ideas along with your bedroom decoration options on ways to give it a spin so that it’s not a bedroom with a one size fits all design. All throughout the book, you will find that I am urging you to let your creative juices run and learn to think out of the box. Do not be afraid, because as they say beauty is in the eye of the beholder—it’s your room and do what pleases you!